We believe that everyone deserves a healthy start, regardless of their socio-economic status or geography. Baebies was founded in 2014 by Richard West and Vamsee Pamula, following the successful development of digital microfluidics technology, the development and launch of multiple products, and the eventual sale of Advanced Liquid Logic to Illumina, Inc. Baebies has now licensed its core technology, acquired product and manufacturing assets, and built a seasoned management and technical team to pursue opportunities in newborn screening and pediatric testing. The Baebies mission is to save lives and make lives better for millions of children by bringing new technologies, new tests and new hope to parents and healthcare professionals worldwide. More than 100 million babies born worldwide each year are not screened for even the most basic treatable congenital disorders. This translates to 1 baby per minute that goes untreated when effective, and often inexpensive, therapies are available. In the US alone, more than 4 million babies are born every year – and nearly every newborn is screened for an average of 43 conditions. More than 1 in 300 newborns in the United States have a condition detectable through newborn screening. Most babies with serious but treatable conditions caught by newborn screening grow up healthy with expected development. Early detection through newborn screening – along with an associated therapy – can significantly improve a baby’s health, often saving their life. With nearly 20 years of life science CEO experience, Richard leads the strategic direction for Baebies. Previously, Richard and Vamsee Pamula led Advanced Liquid Logic, a Duke spinout that developed lab-on-a-chip technology and products for the research tools and diagnostic markets. Advanced Liquid Logic was sold to Illumina, Inc. for $96M. Prior to Advanced Liquid Logic, Richard was Founder and CEO of TriVirix, a venture-funded medical equipment contract manufacturer that he and his team grew to more than 500 employees. He also spent 15 years in the aerospace industry in program, sales, marketing and engineering management, including four years as a commissioned officer in the US Air Force. Richard is currently on the board and executive committee of NCBIO, is a member of the Blackstone Entrepreneur Network, and serves on a number of private company boards. Richard is an Adjunct Professor at Duke University, where he teaches entrepreneurship. He has an Engineering degree from Duke University, an MBA from the University of West Florida and completed all requirements except dissertation for a PhD in management from the Peter F. Drucker Graduate School of Management. Vamsee has years of experience with digital microfluidic technology and focuses on the product pipeline and development for Baebies. Formerly, Vamsee partnered with Richard West to develop and then sell Advanced Liquid Logic – a Duke spinout that developed lab-on-a-chip technology and products for the research tools and diagnostic markets – to Illumina, Inc. for $96M. 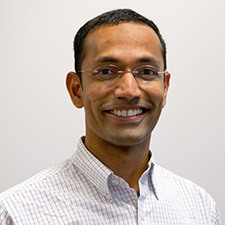 Vamsee has served as a Principal Investigator on several projects funded by the National Institutes of Health (NIH) and led numerous talks on digital microfluidics. He has published more than 60 articles, authored five book chapters and a book, and has more than 200 issued patents and pending patent applications. Vamsee also serves as an Adjunct Professor at Duke University. He has a PhD in Electrical and Computer engineering from Duke University. Vijay has served as Vice President, Product Development since December 2014 and is responsible for managing the Baebies product portfolio. 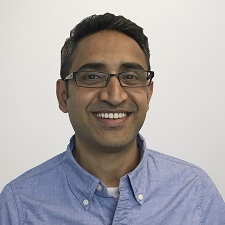 Previously, Vijay was an Associate Director of Engineering at Illumina. Prior to Illumina, Vijay was Director of Engineering at Advanced Liquid Logic, which was sold to Illumina in 2013. 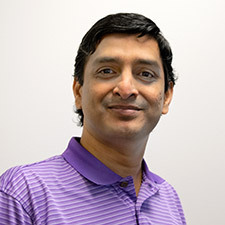 Vijay has served as Principal Investigator on several projects funded by the NIH, has published more than 50 articles and authored a book chapter. He has more than 80 issued patents and more than 70 pending patent applications. He has a PhD in electrical and computer engineering from Duke University. Dr. Bhattacharjee joined Baebies in 2017 to advance newborn screening initiatives. He has broad experience in Biology and Genomic Medicine across premier institutions and industry; and authored high-impact peer-reviewed publications. Prior to Baebies he was Founder and Chief Science Officer of a newborn diagnostic CLIA/CAP service laboratory, where he charted the company’s vision in NICU diagnostics, negotiated multiple seed stage financing, assembled a world-class team, advisory board, and secured NIH SBIR grants. Prior to this venture he was Senior Scientist & Strategic Collaborations Manager of Life Sciences Division at Agilent Technologies Inc. (previously Hewlett Packard). His development of a focused sequencing approach earned him and his team the 2008 Agilent Innovation Award for Genomics and contributed to creating Agilent as the technology leader in targeted genome sequencing products. He has authored seminal articles in medical genomics and his work is recognized as Science magazines top biological innovation for 2010. As a post-doctoral fellow at Dana Farber Cancer Institute/Harvard Medical School he developed the first molecular lung cancer classification system. Dr. Bhattacharjee holds a Ph.D. in Molecular Biology from University of Minnesota, and a Masters Degree from University of Saskatchewan, Canada. 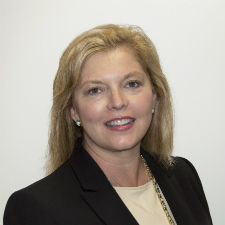 Tammy joined Baebies in April 2016 and has more than 20 years of experience in the medical devices industry and has held numerous executive and management roles in R&D, quality assurance, regulatory affairs, and clinical research in both Fortune 500 and start up corporations. Specializing in product development and regulatory strategic planning of novel, first in class products for US and international launch, Tammy has successfully commercialized numerous medical devices including the TransEnterix single port laparoscopic system, DVS® implantable and OneDoseTM single use dosimeters at Sicel Technologies, and Pharmanetics RapidpointTM Coag point of care analyzer and tests. Tammy received a BS in Materials Science Engineering from North Carolina State University and an MS in Quality Assurance and Regulatory Affairs from Temple University’s School of Pharmacy and is certified through the Regulatory Affairs Professional Society. In 2010 she received the Women In Business Award from the Triangle Business Journal for Innovation. David joined Baebies in March 2018 and is responsible for operations and supply chain. He brings more than 25 years of medical device and electronics experience. He has held a number of management and executive management position in engineering, operations and regulatory affairs. Prior to Babies David was at SunTech Medical, a North Carolina technology company that develops non-invasive blood pressure technology and products. David led the development of several commercially successful products for the domestic and international markets. And he was part of the executive management team that sold the company to Halma plc in 2012. Prior to the sale, David setup and ran SunTech’s manufacturing facility in China that accounted for a significant portion of the company’s value. David received his BS in Electronic Engineering and his BA in Economics from the University of North Carolina at Charlotte. In 2007 he was named as a US expert to an ISO/IEC joint working group on blood pressure monitoring and actively served during the writing of the current international blood pressure standards. 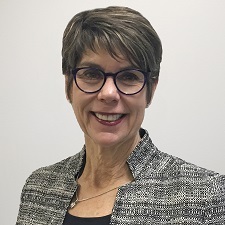 Lucy joined Baebies in February 2019 and has over 30 years of financial, operational and executive management experience in the healthcare industry, including hospital products, pharmaceuticals, clinical diagnostic laboratories and medical devices. She was most recently CFO of C3HealthcareRx. She served as EVP and CFO of LipoScience, Inc., a venture backed company that completed a successful IPO in 2013 and was acquired in late 2014 by LabCorp. Previously she was with Glaxo Inc/GlaxoWellcome for over 15 years in a variety of financial roles. Lucy has served on several for profit and non-profit boards and currently is a board member for one private company. She has an undergraduate degree in Finance from the Indiana University Kelley School of Business and a MBA from Campbell University. 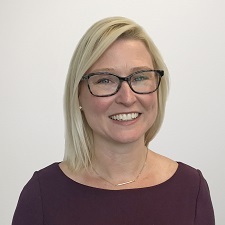 Since 2016, Candice has served as Senior Director of Lab Products, leading the team responsible for Baebies FDA-cleared newborn screening platform SEEKER. Previously, Candice was Senior Program Manager of Oncology at Illumina. Prior to Illumina, Candice managed product, program and alliance initiatives at Advanced Liquid Logic, which was sold to Illumina in 2013. Before joining the Advanced Liquid Logic team, she was a Staff Scientist at Lord Corporation, leading a cross-functional global joint development team. Candice received her PhD in Physical and Materials Chemistry from North Carolina State University, after getting a bachelor of science degree in Chemistry from the University of Georgia. 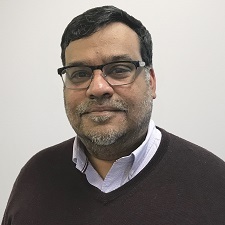 Rama joined Baebies in February 2015 and has been serving as the Sr. Director of Systems Engineering and is responsible for integrating engineering sub-components and digital microfluidic cartridges with biochemical assays. Prior to Baebies, he was the Lead Systems Engineer at Illumina and Head of Systems Engineering at Advanced Liquid Logic Inc where he led the development of the SEEKER system. Currently he also serves as the Head of Point of Care Business Unit and leading the development of the FINDER system. He has published over 15 articles and a book chapter and has over 20 pending and approved patents. He has a PhD in Chemical Engineering from Florida State University. Rodney is Professor of Pediatrics and Chair Emeritus of the Department of Pediatrics at the University of Miami School of Medicine. He is Board Certified in Pediatrics as well certified as by the American Board of Medical Genetics in the area of Human Biochemical Genetics. He was the founding chair of the Secretary’s Advisory Committee of Heritable Disorders in Newborns and Children (SACHDNC), an eight-year effort to establish the US Department of Health and Human Services’ national screening guidelines in 2010, including the addition of many genetic and metabolic conditions to the core newborn screening panel. Rodney is the author of more than 150 papers dealing with genetic-metabolic diseases in childhood. He served as Senior Advisor to the Director of the Eunice Kennedy Shriver National Institute of Child Health and Human Development at the National Institutes of Health in Bethesda, MD (2004-2011). During this time, he oversaw some of the NICHD research initiatives in newborn screening. He served as President of the American College of Medical Genetics and has advised and led research on numerous efforts related to genetics, children’s issues and newborn screening. He is a graduate of Davidson College and the Duke University School of Medicine, where he was trained in Pediatrics and Genetics. Priya is Chief, Division of Medical Genetics and Director of the Y.T. and Alice Chen Pediatrics Genetics and Genomics Center at Duke University Medical Center (DUMC). She also serves as Director of the Lysosomal Storage Disease Program, Biochemical Genetics Training Program and Metabolic Clinic at DUMC. 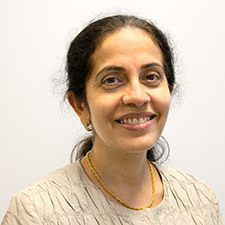 Throughout her career, Priya has made innovative contributions translating laboratory science into the clinical arena related to the care and treatment of individuals with lysosomal storage disorders (LSDs), glycogen storage diseases (GSDs) and other inborn errors of metabolism. She has served as Principal Investigator on several clinical trials with a primary focus on the clinical implementation and development of new therapeutic interventions, especially in the areas of enzyme replacement therapy and small molecules. Priya is widely published in refereed journals, textbooks and scientific reviews and she follows many patients in the U.S. and abroad, providing consultation to colleagues treating patients with LSDs in India. She is a member of the International Collaborative Gaucher Group (ICGG) Gaucher Registry and also the Chairperson of the North America Pompe Registry Board. Priya is certified by the American Board of Medical Genetics and the American Board of Biochemical Genetics. She completed a residency in Pediatrics in Mumbai, India and a fellowship in clinical and biochemical genetics at Duke University Medical Center. David is Professor Emeritus of Pediatrics at Duke University School of Medicine. 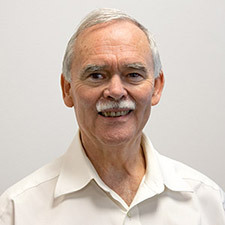 He spent his career on the development and application of new techniques in mass spectrometry for biomarker discovery and diagnosis of inborn errors of metabolism. This eventually led to the development and application of fast atom bombardment tandem mass spectrometry methods to revolutionize newborn screening. David is the author or co-author of nearly 150 papers and 40 additional invited book chapters. He was born in the United Kingdom and trained as a chemist. After graduation from Liverpool University and postdoctoral studies in Urbana, Illinois and Cardiff, Wales (United Kingdom), he spent five years at Micromass Ltd, Altrincham (United Kingdom) and then moved to the United States. He was a recipient of the International Society for Neonatal Screening’s prestigious Guthrie Award in 2006 and gave the Robert Guthrie Memorial Lecture for the Society for Inherited Metabolic Disorders in 2014. He has also developed educational lectures and courses for newborn screening programs in the US and overseas. Jan has spent several decades pioneering neonatal screening. As the former head of development for Newborn Screening Product Development at Wallac Oy (now part of PerkinElmer group) in Turku, Finland, he led the development of AutoDELFIA. This directly contributed to the improvement and advancement of the technology and focused on increased sensitivity of the methods and simultaneous measurement of analytes, saving invaluable dried blood material. Jan’s contributions also included automation of laboratory processes, with emphasis on a standard-format dried blood spot collection and consistent methods for interpreting demographic data. Originally trained as an electronics engineer in Copenhagen, Denmark, he is a frequent lecturer at neonatal screening meetings and a strong advocate for the use of international dried blood spot reference materials. 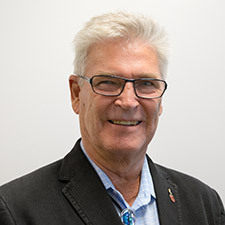 He voiced his non-company biased concern for the development of neonatal screening systems all over the world in meetings with politicians and policy makers in many countries. Jan is the recipient of the International Society for Neonatal Screening’s 2004 Robert Guthrie Award. Brad is currently the Director of the National Newborn Screening and Global Resource Center and Adjunct Professor of Pediatrics at the University of Texas Health Science Center at San Antonio (UTHSCSA). He retired as Research Professor at UTHSCSA in January 2013. In addition to his university work, he previously served for 28 years directing chemistry and newborn screening laboratory services at the Texas Department of State Health Services. He is a founding member of the International Society for Neonatal Screening (ISNS), serving as its first secretariat and second president. In 2000, he was awarded the prestigious ISNS Robert Guthrie Award for international service. 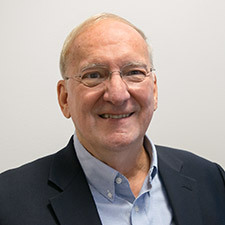 Brad initiated and hosted the first U.S. National Newborn Screening Symposium in 1981 and over the years was an active member and officer in the Council of Regional Networks for Genetic Services and the Texas Genetics Network. 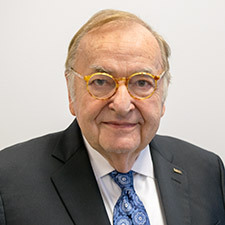 He has spent more than 45 years in public service, which included expert consultant/reviewer activities in 40 U.S. and more than 35 foreign newborn screening programs. Brad’s extended activities include authoring or co-authoring more than 175 scientific publications and presenting more than 150 invited international lectures. He earned his BS in Chemistry from Mississippi College, and his MS and PhD degrees in Inorganic Chemistry from Florida State University. In 1997, he was awarded an honorary MD by Kunming Medical College, Kunming, China. Bill is retired Chairman and CEO of Medtronic, one of the world’s largest and most innovative medical technology companies. 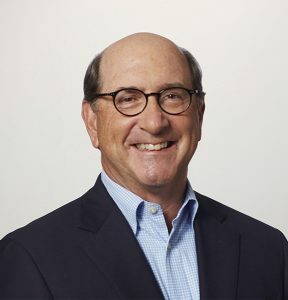 He joined Medtronic in 2002, holding several leadership positions prior to serving as Chairman and CEO. Most recently, Bill was President and CEO of Immucor, a provider of transfusion and transplantation diagnostic products worldwide. Prior to Medtronic, he served as President and CEO of Novoste Corp. (Nasdaq: NOVT) and held senior leadership positions at American Home Products, Johnson & Johnson, Guidant Corp. and Eli Lilly & Co. He began his medical technology career with Carolina Medical Electronics in 1977. Bill is active on public, private and not-for-profit boards including Halyard Health (NYSE: HYH), KeraNetics and the Duke University Health System. He also serves as a member of the Advisory Boards at Arboretum Ventures, Radius Ventures, LLC, HealthQuest Ventures, Accuitive Medical Ventures, A*STAR SERC Cluster Advisory Board in Singapore and the Biomedical Sciences International Advisory Council, Singapore (“BMS IAC”). He received his BS in Electrical and Biomedical Engineering from Duke, where he also conducted medical research in pathology. He then went on to earn an MBA from the Darden School of Business, University of Virginia. Nick is Founding Partner of Illumina Ventures, an early stage venture capital firm strategically aligned with Illumina. From 2010 to April 2016, Nick served as Illumina’s Senior Vice President of Corporate and Venture Development. In April 2016, Nick left to found Illumina Ventures, where he manages investments and participates on company boards. From 2014 to 2015, Nick also served as the founding General Manager of Illumina’s Enterprise Informatics Business Unit. 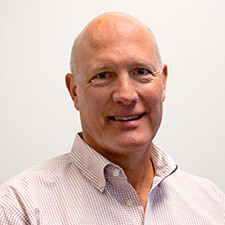 Before joining Illumina, Nick co-founded and was the Executive Chairman of Quanterix, an emerging diagnostics company based on a novel single-molecule detection platform. 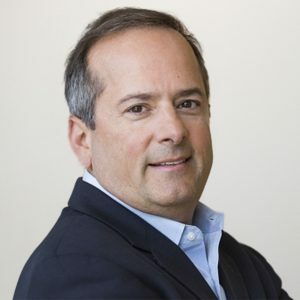 Previously, he was Executive Chairman of True Materials and CEO of ParAllele BioScience, life science tools firms that were both acquired by Affymetrix. He was also the founding Vice President and General Manager of Motorola Life Sciences. He also held leadership roles at Zyomyx Inc., Motorola Ventures, the Defense Advanced Research Projects Agency (DARPA) and the U.S. Air Force. 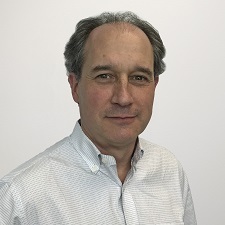 Additionally, Nick has served on a number of corporate and institutional boards, including Twist Bioscience, Boreal Genomics, the SNP Consortium, Genometrix, Clinical Microsensors, Orchid Bioscience and SEMATECH. Nick received a BS in Electrical Engineering and Computer Science from Duke University, a Winston Churchill Fellowship in Materials Science to Cambridge University and a PhD in Electrical Engineering from the University of Maryland.